If this is your first time having replacement windows installed, there are some unique things that you should expect. Woodbridge Home Exteriors shares some of these things and how they help move the window replacement process along. As with most remodeling projects, window replacement begins with the first consultation. 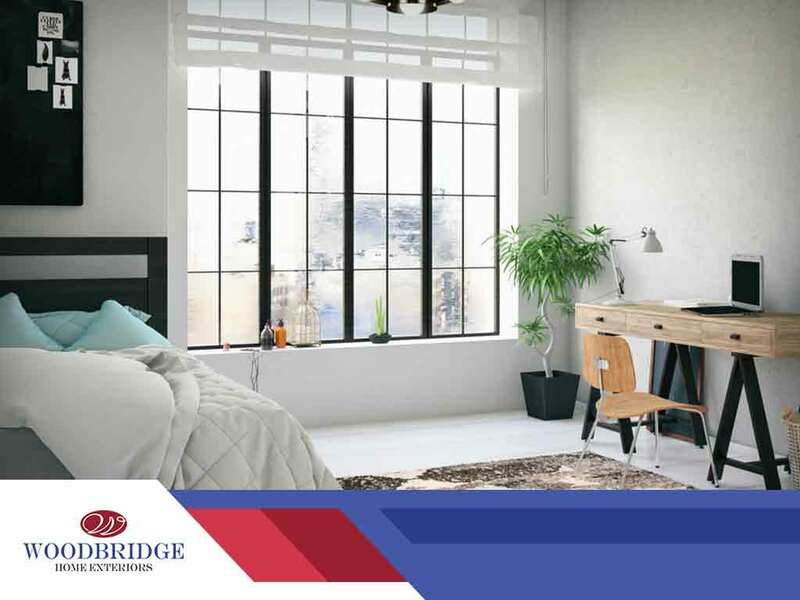 Our consultant will help you choose among the various window styles, frame colors and other customization options that will fit your remodeling requirements. Other components such as grilles and window hardware are likewise selected at this point. During the consultation, precise window measurements will be taken, and your existing windows will be inspected. The wall openings need to be able to anchor the new windows. Dry rot and other potential problems that can be determined without removing the windows have to be known before our window installers begin installation. Also, precise measurements are needed in order to provide an accurate quoted price. Replacement windows need time to be built, checked for quality and delivered. Unlike off-the-rack replacement windows, ours are built to your specifications. Depending on the scope of the project, it may take anywhere from a few days to as much as a week between consultation to installation. In the meantime, prepare for installation day by clearing the areas around the windows. Clear the path from the driveway to the entry door, removing obstacles like patio furniture, barbecue grills and flower pots. Indoors, clear furniture and anything breakable, as well as anything that might cause someone to accidentally trip. There will be some noise and installation equipment, so make sure to keep kids away from the work areas. As much as we would like to know and control all variables related to replacement windows, there are certain circumstances that only get discovered during installation. This usually happens if there are structural issues that get revealed after the old windows are removed. In such cases, installers will have to conduct repairs, which can increase the cost of the project. It helps to have an “emergency budget” on hand, which is usually worth 10% to 20% of the project cost. To learn more about our window replacement services, call Woodbridge Home Exteriors today at (972) 217-7585 (Texas), (405) 252-1548 (Oklahoma), or (316) 226-8011 (Kansas). You can also fill out our contact form to schedule an appointment. We serve many areas in and near Waco, Killeen, and Dallas, TX.